The first of the student awards went to Elementary Minute, a fast-paced quiz game that has you swiping up or down to select the correct answers to a series of questions. It’s like Tinder if Tinder were actually constructive and educational because it teaches you about geography, math and history instead of which neighborhoods you should never visit alone. The second student award went to the two-man Brazilian development team ByteBrushers for its minimalist puzzle game jump-O. It stars a round hero traversing a world full of squares, and it’s all about the developers’ experiences with bullying as children. 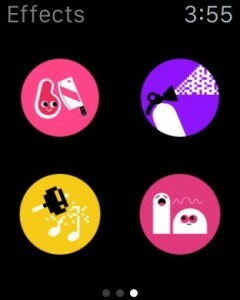 It also looks and plays amazing, with simple-as-pie art and controls mapped to taps and motions. 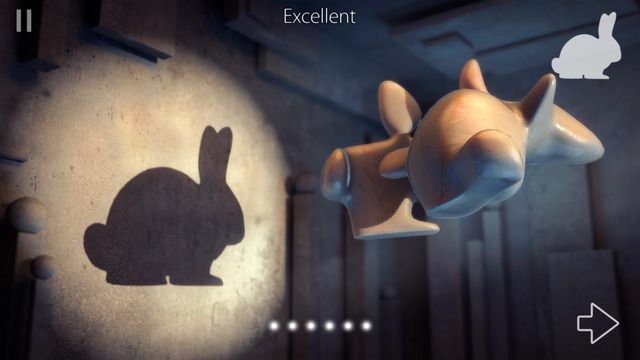 If you’re a fan of shadow puppets, Shadowmatic should be your jam. 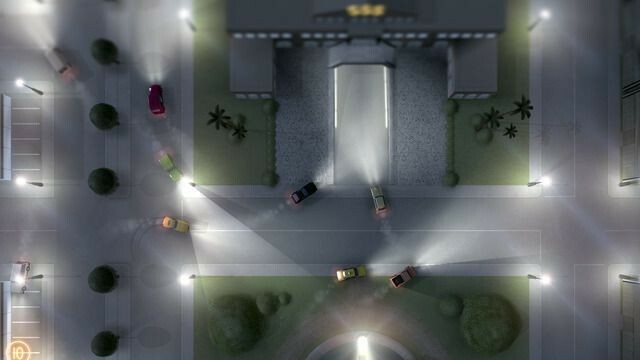 It gives you a series of objects in a single spotlight, and your job is to turn, twist, and position them to create shadows of more familiar objects. The onstage demo started with a contraption that looked like a camera that had been in a car accident, and its shadow slowly morphed into a teapot. It’s a great concept for fans of other perspective-intensive titles like 2014’s App of the Year, Monument Valley. I’m not young enough to really enjoy Metamorphabet, but it’s a cool idea. 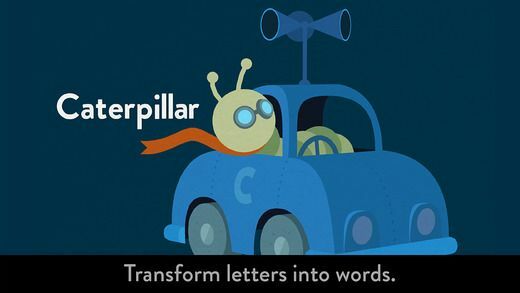 You start with a letter of the alphabet, and then poke and prod it to make it morph into a representation of a word that starts with that letter. In the demo, G became a guitar with a few tweaks, and then strumming the strings made a garden of flowers grow. Tapping on the plants made their petals fly off and turn into ghosts. I know nothing would happen, but I’d like to have a shot at a few of those letters to see what comes out because I am emotionally 12 years old. Enough of all the fun and games — let’s manage some money and diversify our portfolios. Robinhood offers free stock buying and lets you build watch lists so you can plan where to invest your nest egg. It was a little bit jarring to suddenly talk about finances after we’d just seen all those ghost flying around, but I guess this is cool, too. Here’s a more creative app. For creative types. Affinity Designer is a powerful, vector-art program for OS X Yosemite. They couldn’t get into much in the demo at the awards, but they did show off a cool feature that lets you split the screen and display each side as a different layer. 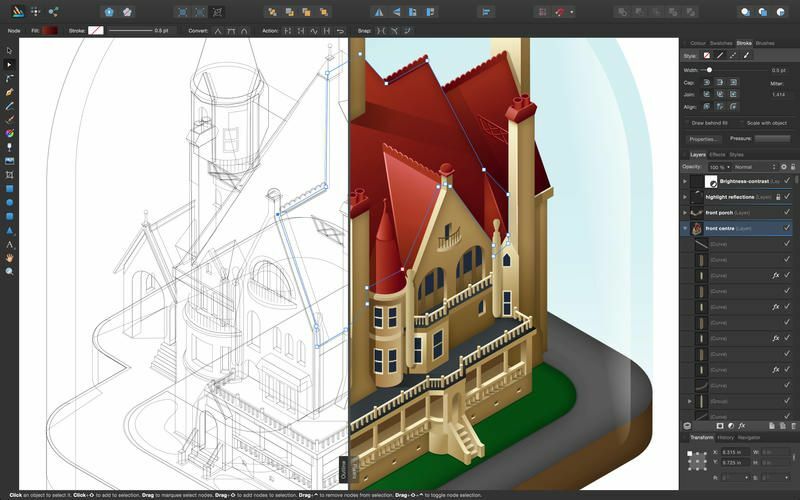 They had sketch view on the left and the fully rendered version on the right, and you could resize and move individual elements in real time. They also said that you could zoom in to up to 1 million percent, and that’s a lot of percents. I respect the success that Crossy Road has found, even if I don’t quite get it. It’s an “endless hopper” about guiding a selection of characters across roads and train tracks while avoiding a staunch flattening. 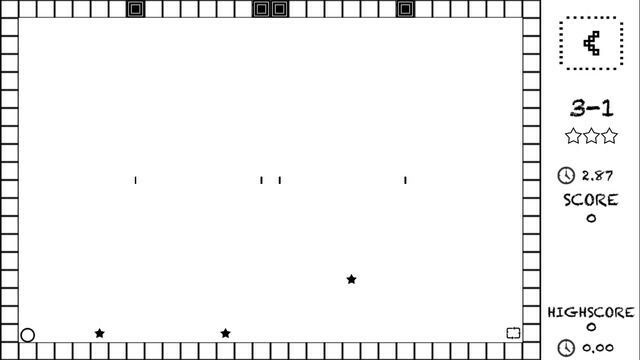 It’s definitely a better devised game than something like Flappy Bird, the appeal of which remains a mystery. But Crossy Road has some cute, blocky graphics, and I like the feature that lets you share pictures of your characters’ grisly and greasy ends on social media. 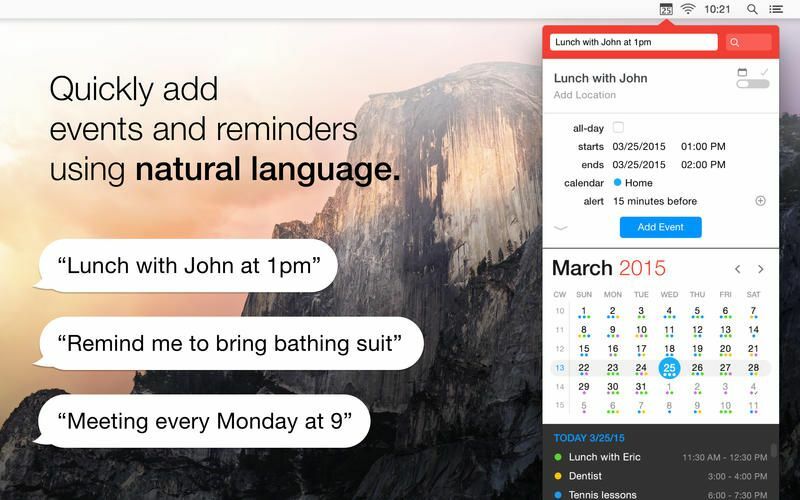 Fantastical 2 is a super-powerful scheduling app for OS X, iPhone, and iPad that lets you schedule events and appointments with ease. You can type in plain English, and the app’s text parser will pull the relevant information to create the item. 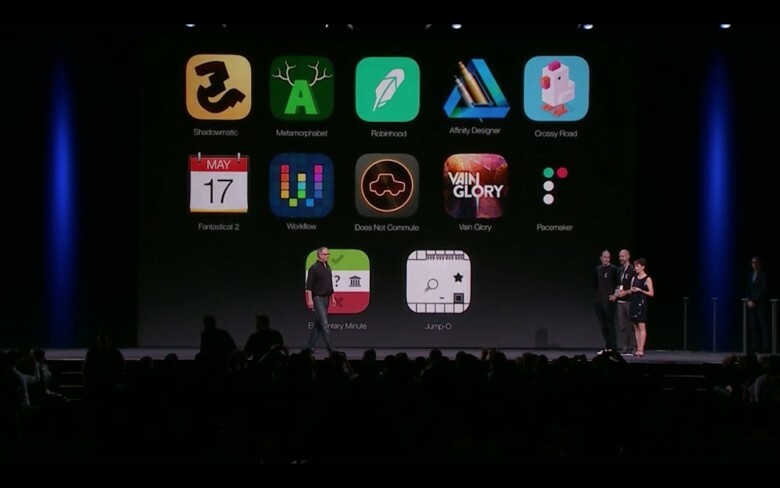 During the demo, they typed “Meet with Ron tomorrow at 6:00 for 30 minutes,” and Fantastical 2 fed the information into the calendar on the fly. Another cool feature was the ability to set up multiple schedules and decide when and where you want to use them. So if you want a work calendar that activates once you get to the office, you can do that. Similarly to productivity apps like the recipe-driven IF, Workflow lets you chain together actions and programs to create, well, workflows. And that’s cool enough on its own, but then Apple brought out a couple members of its Accessibility team to show off how well this app works with VoiceOver, an iOS function that lets the visually impaired swipe and double-tap to use their devices. It’s on your device right now, and you should go check it out for a different and intuitive way to use your iPhone or ‘Pad. Does Not Commute is a hard game to describe, but I’ll try. It takes place in the ’60s or ’70s, and it has you driving a series of vehicles from Point A to Point B within a time limit. Kind of. You drive the first car from A to B, and then you drive the next car from C to D while trying not to hit your original car, which is repeating its drive from A to B. And then you take a third car from E to F while Car 1 goes from A to B and Car 2 makes its C to D run, and you continue doing this until you get everybody where they need to go or you run out of time. You could also go crazy, but I don’t know how the game would know that that’s what happened. 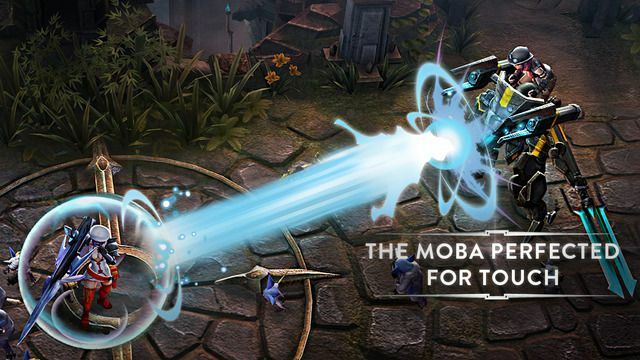 A multiplayer online battle arena (MOBA) title designed for touchscreens, Vainglory aims to bring the excitement and combat of titles like League of Legends to mobile. I’ve never really gotten into MOBAs, but a lot of people love them, so clearly they’re doing something right. And the fact that this one distills all of the complex action and planning into touches and gestures without sacrificing pace or intensity is impressive enough, at least. I’ve noticed that I have a completely different relationship with music from apparently everyone else I know — basically, I don’t. I’ll listen to it, and I like some of it, but it is not by any means an expression nor an extension of my soul. And I’m not just saying that because today’s Apple Music presentation was incredibly boring. I’m just not a big music buff like Leander is. But if you’re an aspiring DJ like the boss is, you’ll find a lot to like about Pacemaker, a do-it-yourself mixing suite that lets you pull tunes from your library, cut them together, and add effects to keep the wubs going. It also has a companion app for Apple Watch which lets you control things from your wrist, so you could, in theory, drop some beats and dance at the same time. But that might be too much for some people.